Doha, Qatar – February 19, 2018 – A documentary on the significance of black colleges and universities in the United States is being broadcast nationally in the U.S. as part of Black History Month. The film, “Tell Them We Are Rising,” by NU-Q Professor Marco Williams, explains the rich history of black colleges from the days of slavery until present day. Williams co-directed the film with Stanley Nelson, an American documentary filmmaker who has co-created several other films with Williams. It will premiere on the Public Broadcasting Service (PBS) program, Independent Lens. Williams said that he was inspired to create the film at a time when hate crimes and discrimination against people of color are on the rise in the U.S. Through the documentary, Williams hopes to raise awareness on the crucial role of black colleges and universities, not only in the identity of black Americans but the formation of America’s modern education landscape and culture. 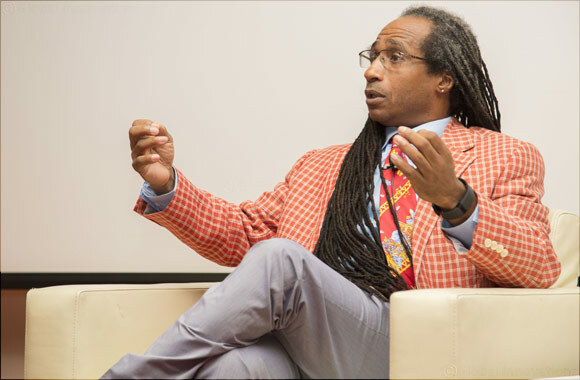 Northwestern University Provost Jonathan Holloway, who is an expert on post-emancipation American history and black intellectualism, was among the historians and scholars who shared their firsthand accounts as black students between the 1940s and 1970s. In honor of Black History Month and to celebrate diversity at NU-Q, which is home to students of nearly 40 different nationalities, a special screening will be arranged for the NU-Q community to watch the film and engage in a conversation with its producer. In 2016, Williams spent a semester at NU-Q as a visiting professor in residence, teaching courses in screenwriting and directing. He has now returned as professor of communication in residence, and is concurrently a tenured professor at Northwestern’s School of Communication. During his time at NU-Q, Williams will teach courses on documentary filmmaking and screenwriting. Previously, Williams taught at New York University’s Tisch School of the Arts since 1998, and also has experience teaching at University of North Carolina and Duke University. His films have received several awards, including an Emmy, the George Foster Peabody Award, the Columbia-DuPont Silver Baton, and the Silver Award for Best International Documentary. He has also been nominated three times for the Sundance Film Festival Grand Jury Prize. Williams’ has received fellowships and grants from the Guggenheim Fellowship, Tribeca All Access Alumni Fellowship, Ford Foundation, Rockefeller Foundation, Yale School of Art, American Film Institute, and the New York Council for the Arts. His film credits include The Undocumented (2013), Inside the New Black Panthers (2007), Banished (2007), Freedom Summer (2006), I Sit Where I Want: The Legacy of Brown v. Board of Education (2004); MLK Boulevard: The Concrete Dream (2003), Two Towns of Jasper (2002), Making Peace: Rebuilding Our Communities (1995), Declarations: The Spiritual Deficit and The American Dream; (1994), Without a Pass (1992), In Search of Our Fathers (1991), and From Harlem to Harvard (1982). Williams received his B.A. from Harvard University, in visual and environmental studies. He also received a Master of Arts degree from UCLA in Afro-American studies and a Master of Fine Arts also from UCLA in their Producer’s Program.